I want to customize default Seattle.master page in sharepoint 2013. As per my knowledgewe there are two files seattle.master & seattle.html, and we can able to make changes in any file. But i want to know, from above, which one is recommended way or good practice to customize master page? Best practice to customize the MasterPage. First of all take backup of Seatle.master. Don't try to update the *.master file. Always open the *.html file and customize the HTML design layout. 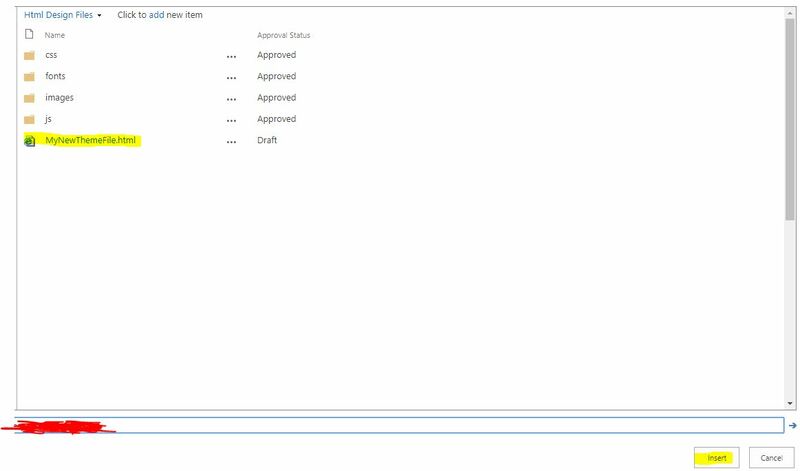 I hope you are using SPD to customize the MasterPage, if it is correct, then SPD will not allow to modify the *.master file. Do not delete any comments from *.html file. If you do so, it will generate an error in MasterPage. Find the default classes and apply your custom design there. If you enable publishing feature, you can’t edit .master directly, you should edit .html only suggested by Aakash Morya. If you create a site collection(eg:Team Site) and don’t enable publishing feature, you could copy default .master page and do customization. Best Practice to create a New Theme (Template) for your project, and apply your new Template as a Master Page. : Click On Design Manager inside the Look And Feel Section. : Click on Edit Master Page from Left Nav. : Map this URL to your Local PC and copy your Theme Folder into this Location. I Hope this will help full for you. If You need more information, reply it. Not the answer you're looking for? Browse other questions tagged 2013 sharepoint-server master-page custom-masterpage or ask your own question.